Clocking in at a taut 79 minutes, director Kim Jin-hwang’s The Boys Who Cried Wolf is a sharp whodunit with engaging twists and fine performances. Before its screening at the New York Asian Film Festival, Director Kim spoke with me about what real life experiences inspired his first feature. The Lady Miz Diva: The Boys Who Cried Wolf has gone from festivals in Busan and Seoul now to New York City. How do you feel about screening your first feature before the New York audience? 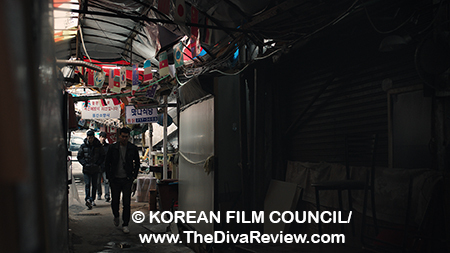 Kim Jin-hwang: I would like to start by saying that I never imagined that I would be able to screen my film in New York City. 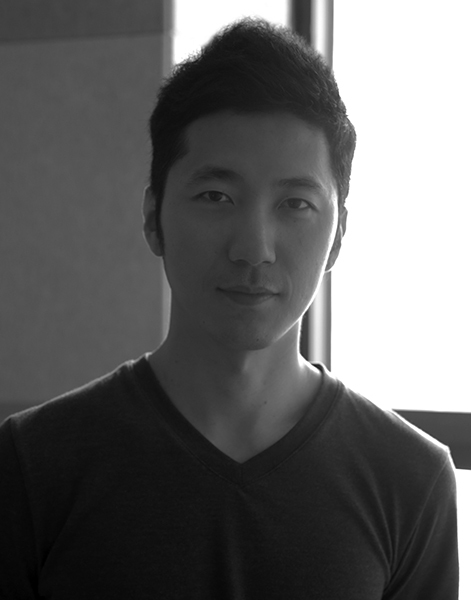 As you may know, being a filmmaker in Korea today is quite a difficult path to go on. I remember approaching filmmaking in a way that was very alternative and current. This film deals with the fears that were on my mind at the time and are still going on to this day; but when I was making it, I thought that my story was primarily limited to being viewed by my colleagues - actors and directors and that sort of thing. Having that story shown to a wider audience and also learning that it actually speaks to the people outside of Korea, it made me quite curious about what is the appeal to this film? Why does it resonate with an international audience? So, I guess my overall sense is curiosity and wonder. LMD: Was The Boys Who Cried Wolf your own original story? KJh: Yes, the screenplay and the story is by me. LMD: As you mentioned, the film dealing with fears on your mind at the time you made it. Did other aspects of the film; particularly the relationship of the guys coming out of the military and the hopelessness of the main character who is trying to pursue an acting career, reflect your own experience? KJh: Like you mentioned, the main character in the film is an actor, and the reason I chose an actor is because I’m a director, but I feel like the dilemmas that an actor goes through also apply to the director, as well. When I was making films, I felt that sometimes you’re able to make an honest and truthful piece of work, but then also I would find myself self-censoring myself. Then I would find moments when the film didn’t contain the truth that I wanted to express and it came out in a more inauthentic way. I feel like an actor, in that way, is along the same lines: With an actor, I think it’s more direct because an actor on stage is essentially playing a different truth and then offstage he has to go back to himself as his own being. So, I felt like choosing an actor was a more objective way for me to tell the story, but it still has relevance for me as a director, because I’m a director, I’m not trying to conceal myself, but then sometimes I am revealing myself through my filmmaking. And you also mentioned the military service experience, and this pretty much comes from direct and indirect experience from being in the military. The story that comes out in the film, I had actually heard of such an episode from a senior officer when I was serving in the naval forces. At the time when I was serving in the military, I felt that it was the time that I was the most self-deceiving, and so, the story in the film actually comes from reflecting upon those real-life experiences. LMD: Please talk about how you came to cast Park Jong-hwan as Wan-joo? He’s quite an established actor and I’m curious how you approached him as a first time feature director? KJh: In the case of Mr. Park Jong-hwan, this was actually filmed about a year and a half ago. I think the actor Park Jong-hwan’s tendency is that regardless of the medium; whether it’s a TV show, an alternative type of film, or a short, I feel like if he is invested in the story, he’s easy to persuade as long as he is interested in the story. When I first gave him the screenplay, he said it really resonated with what he was going through in his own life and he agreed to work on the project right off the bat. So, I think he really saw a lot of the qualities of the lead role, as well, and he told me that he felt like a lot of the plot and a lot of the writing really reflected what his colleagues and the people that were around him were actively going through in their lives, as well. I felt like during filming, Park Jong-hwan was the person I talked the most with, technical details aside. It was a film that really, really learned a lot from my conversations with Park. LMD: Normally, we see movies that don’t know when to end, but this zipped along and then ended so quickly. I wondered if there was more to the story overall, particularly with regards to the character, Mi-jin, who hires Wan-joo after knowing him from the past? We only get a vague glimpse after a major event in the film involves her. Was there more you meant to put in? KJh: In the screenplay, there was actually more back story regarding this character, that deals with the more specific relationship between Mi-jin and Wan-joo, and we actually get to see why Wan-joo acts the way he does towards her, like brushing her off. We come to understand why he does that and also we get to understand the inner workings of why Mi-jin is more attached to Wan-joo. However, I felt like the storyline was a bit difficult to tie into the main plot that was going on. I did feel that she would be ideal to trigger the feelings of guilt and consequently trigger his actions, but I felt like it didn’t come together neatly in a way that I had wanted to go. So I had to make the decision to focus on the main plot and that is why that specific element of Mi-jin’s character had to be discarded for the sake of the whole story. LMD: What is next for Director Kim? KJh: Actually, right now I’m contracted by a production company and I’m actually working on a screenplay. Personally, I’m really drawn to the mystery genre, so although it will deal with a different subject matter, I’m trying to work on this project and make it a more cohesive and comprehensive attempt at storytelling than The Boys Who Cried Wolf.